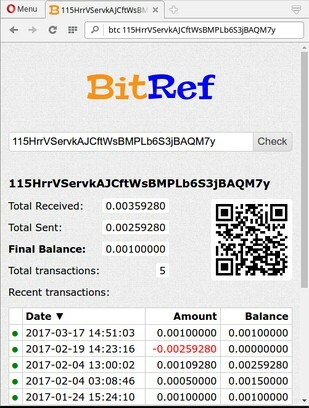 BitRef will help you view the current balance of any Bitcoin address. Just type: "btc [space or tab] bitcoin_address" in Opera's address bar. This is the easiest and fastest way to check balance of any Bitcoin address.